Free Music! 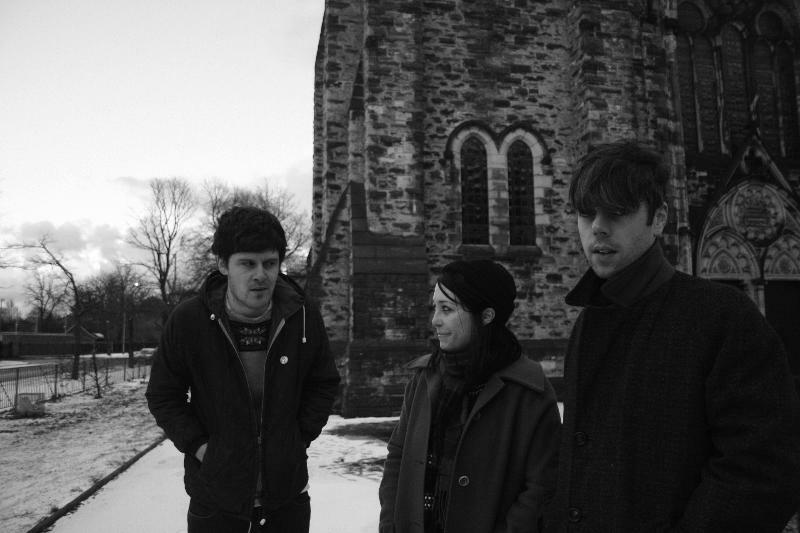 Girls Names - "Seance on a Wet Afternoon"
Forming in Belfast in January 2009 initially as a two-piece, Cathal Cully and Neil Brogan booked their first gig as Girls Names before they'd even played together. Expanding to a three piece some months later with the addition of Claire Miskimmin on bass, the band have effortlessly refined their own personal take on the early/mid eighties shadow world of Black Tambourine, Felt and the Sound of Young Scotland. Although still in their infancy, Girls Names have traced their development through a series of releases, having already issued a 12" (Captured Tracks), an 8 track mini album (Tough Love) and a split 7" with San Francisco's Brilliant Colors (Slumberland). From humble beginnings there live show has also been dramatically improved, helped in part by sharing stages with Times New Viking, Dum Dum Girls and Abe Vigoda, amongst others. Recording for Dead To Me began in the last half of 2010, the band entering the studio with the conscious desire to make an old-fashioned style pop album, albeit one with a perverse haunted feel. As intended, the haunted aspect is brought to the fore. The ten tracks that comprise Dead To Me are possessed with a warm, classic quality derived second hand from the 60s influenced bands of the 80s. Songs such as "When You Cry", "Bury Me" and "I Lose" are characterised by a timeless melodicism that's long been the reserve of pop classicists from the Walker Brothers to Orange Juice, while other elements of the record, such as "Séance on a Wet Afternoon", reveal a perverse undercurrent. And in an oblique manner, ghosts are also integral to the lyrical themes of the record. Whoever the inferred protagonist in the album title is, their spectre lingers throughout Dead To Me, hiding in the narrative arcs that run consistently throughout. Masked under the gloom of reverb-heavy guitars are subdued bittersweet vignettes charged on bloody nostalgia, bad romance and a fascination with the occult. Despite their influences and immaculate taste, Dead To Me remains a distinctive listen precisely because of where it was conceived. The grey contours of Belfast streets indelibly shade the mellifluous guitar tones and spooked vocals. As such, for all the band's backwards gazing, there's a feeling that this album couldn't have been made anywhere but Belfast right now. Girls Names will street Dead To Me via Slumberland Records Apr. 26.